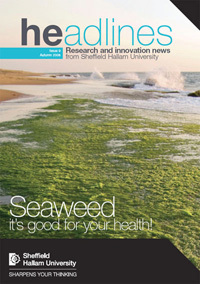 Seagreens® were first Certified free of all likely ocean-borne contaminants, including harmful toxic metals and microbial pathogens, by The Centre for Food Innovation at Sheffield Hallam University in 2011 (Britain’s leading centre in food industry research and management) using independent, government accredited laboratories in England, Scotland, Norway and other countries. Today, continuous monitoring and periodic full review studies are conducted to maintain our unrivalled standards on nutrition and food safety. This is your assurance that Seagreens® products are free of PCBs, organotins, organophosphates, aromatic hydrocarbons, harmful levels of pollutants like arsenic, cadmium, lead, mercury and other toxic metals, and pathogenic bacteria like coliforms, e.coli, enterobacteria, moulds, rubella, staphylococcus aureus, salmonella and vibrio species. Seagreens® means that you know what you're eating! Seagreens® wild seaweeds are not the progeny of genetically modified organisms or of products derived from the same. Seagreens® are not known to be capable of contamination by genetically modified organisms. Seagreens® are not knowingly irradiated at any point in their production or distribution to the consumer and comply with EU Council Directive 90/937 EEC for radioactivity. Seagreens® technical specifications meet the requirements of European and US Pharmacopeias. Seagreens® wild Ascophyllum nodosum seaweed complies with the British Herbal Pharmacopoeia for Ascophylli thallus (Fucacae).